Users having Lumia phones with less then 1GB of RAM have been complaining about not being able to play the popular running game Temple Run. Well, Nokia has paid heed to their demands and with Micorsoft has updated the game sot that it can now be played with devices running on Window Phone 8 even with 512MB of RAM. The announcement was made over Twitter by Joe Belfiore, head of Product Definition and Design, Windows Phone 8. Belfiore tweeted, “A bunch of you tweeted me asking for Temple Run for your 512MB WP8 phones. Grab it now”. To play Temple Run on a Windows Phone 8 device, you need certain permissions, including phone identity, media playback, data services, movement and directional sensor and either an HD, WVGA or WXGA resolution display. You can read about this fascinating game here. Meanwhile if you have a Lumia 520, 620 or 720 visit the Windows Phone Store and download the Game right now. 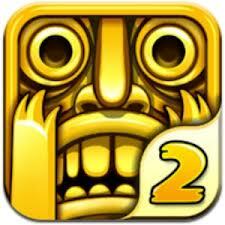 The game is actually Temple Run not Temple Run 2, which a reader brought to my notice. I am extremely sorry for the error. I own L720 and still not able to download , it says "Your phone doesn't meet the minimum requirements needed to run this app"
friends just wanted to know how is nokia lumia 520 .. does skypeviber whatsapp and all works .. as most of them complaining it dosent work at all .. and regarding one game sabway surf ..
need ur suggesstions ... just confused whether to go for it or know .. and some of them saying u cant transfer pictures through blutooth ..
Faisal, the Lumia 520 is a good phone but the apps are limited. WhatsApp works find with it.